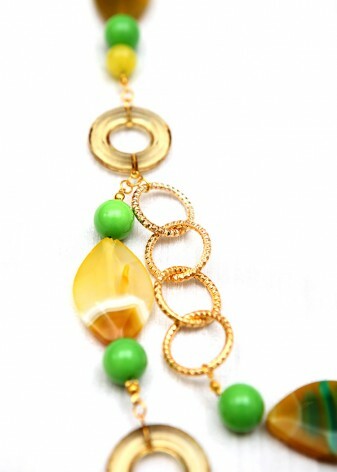 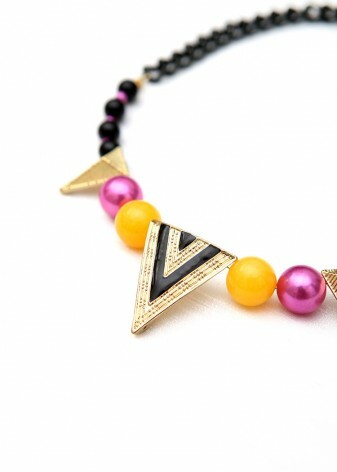 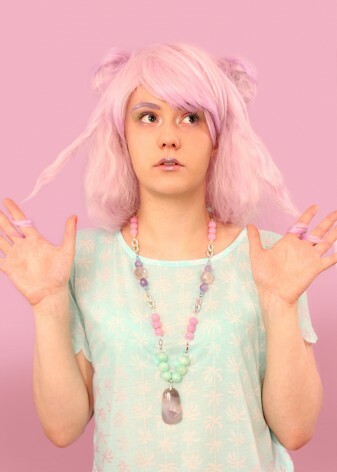 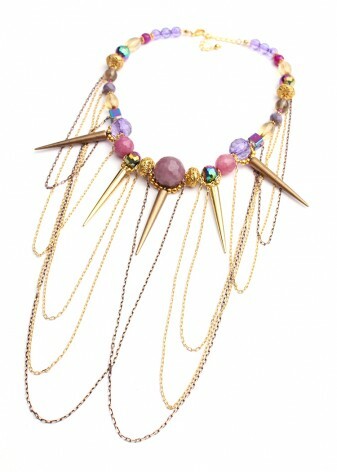 All of our necklaces are editable! 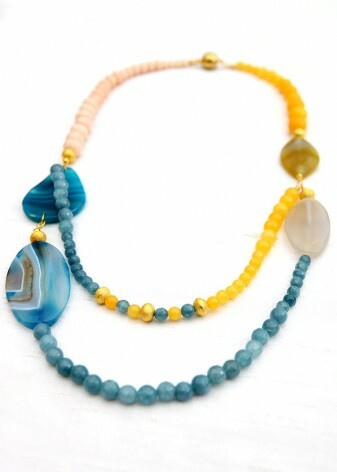 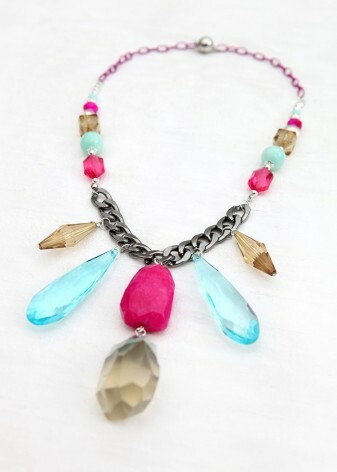 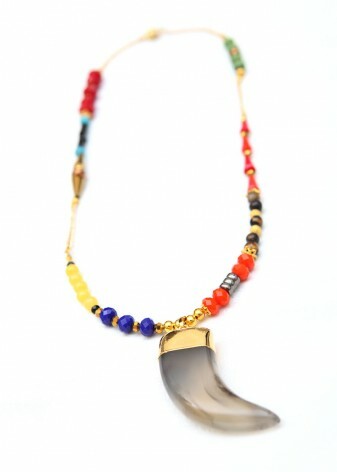 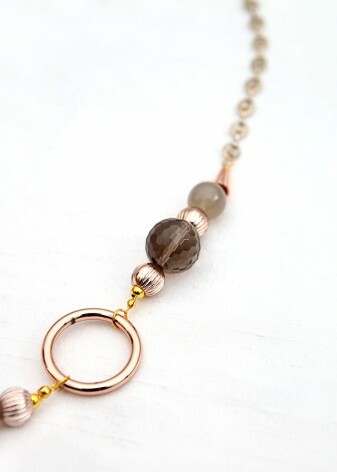 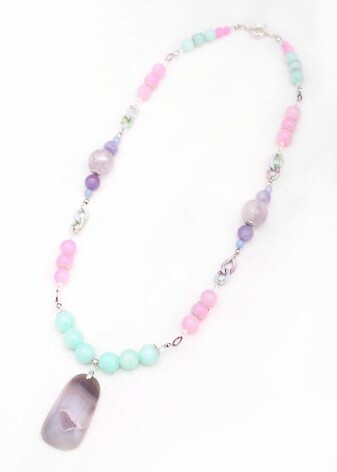 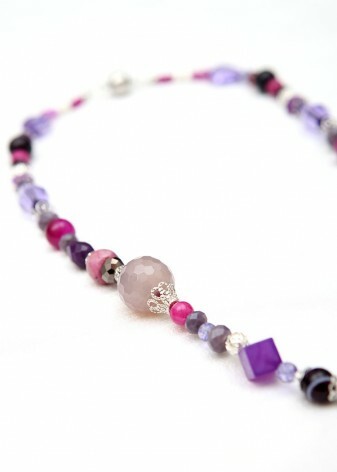 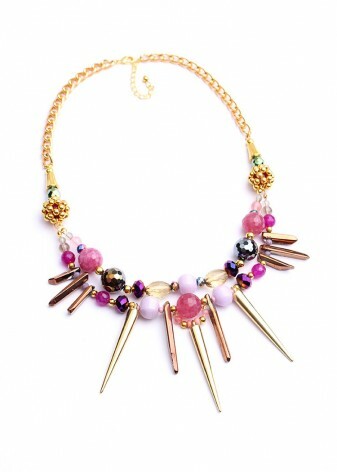 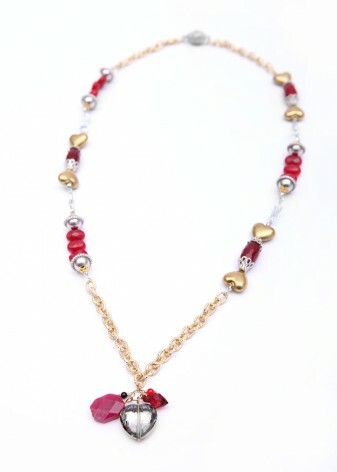 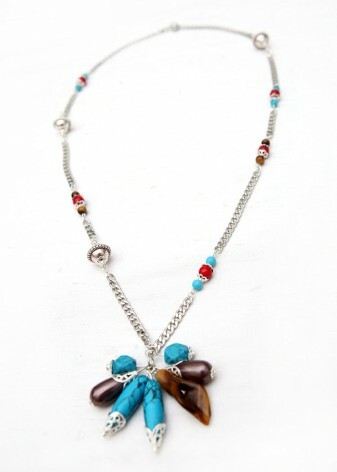 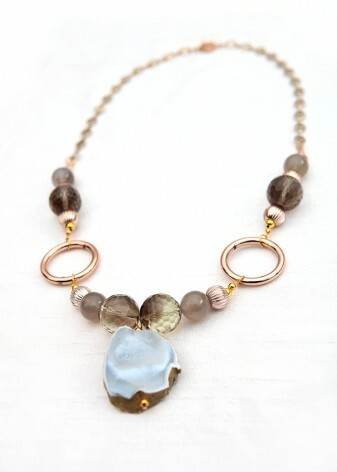 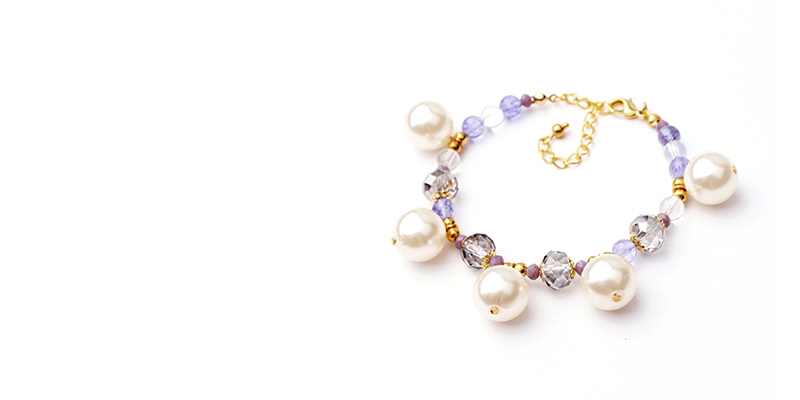 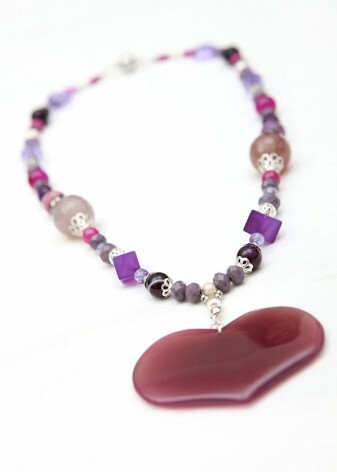 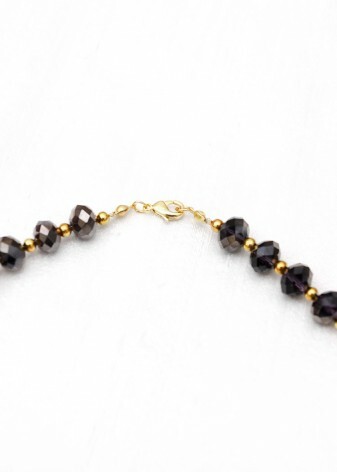 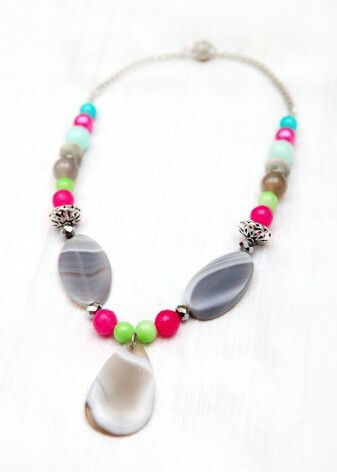 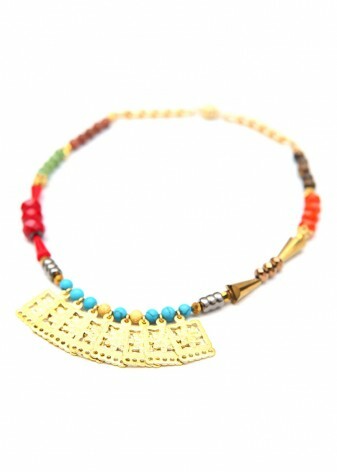 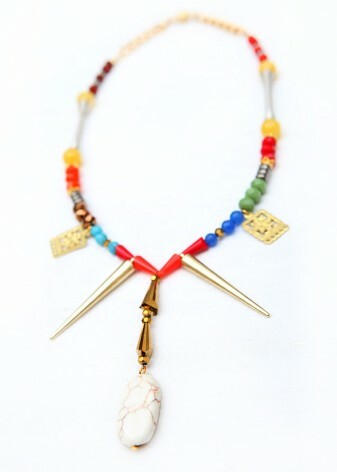 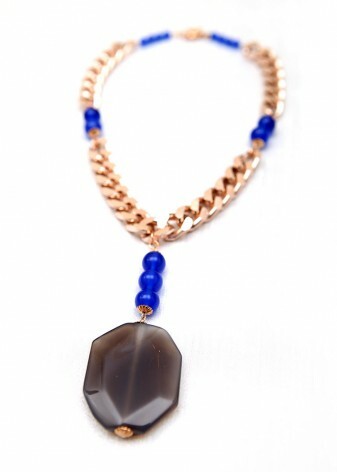 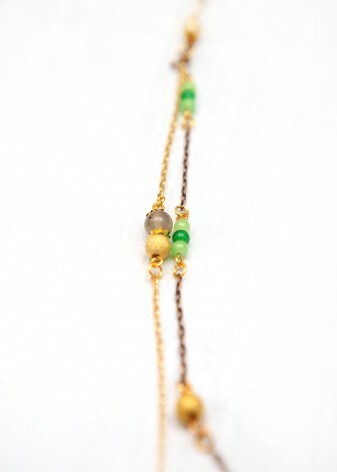 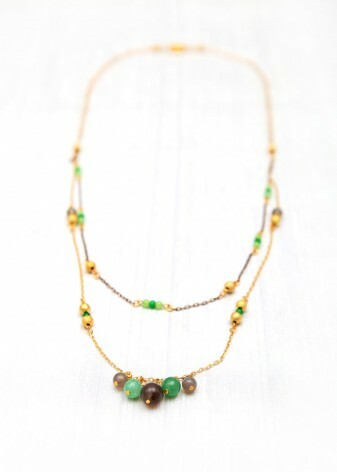 Complete your outfit with a stunning necklace made from beautiful semi-precious stones. 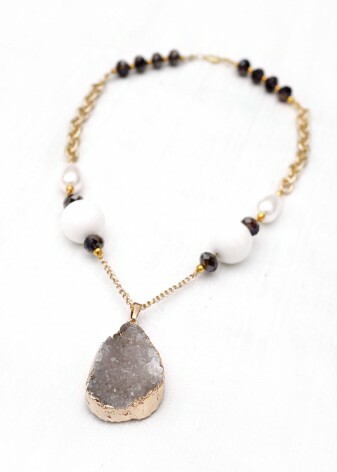 Adorn your neckline with our selection of necklaces, from delicate opera cluster pieces to chunky statement princess pendants in a variety of colours and materials, including hand carved agate and divine quartz. 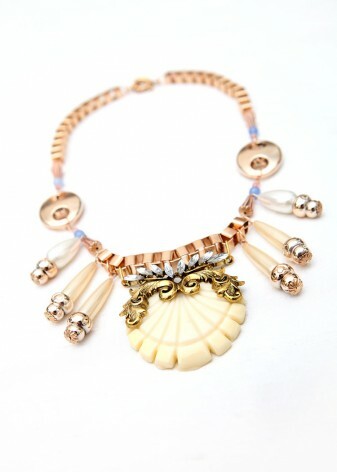 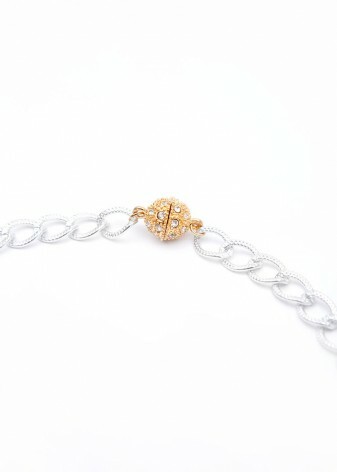 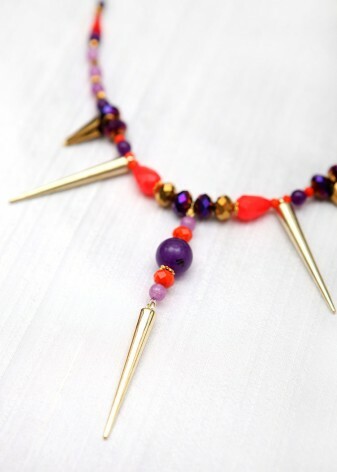 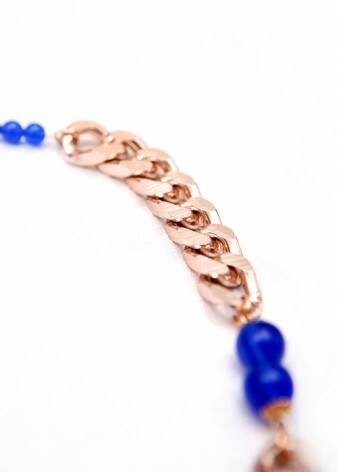 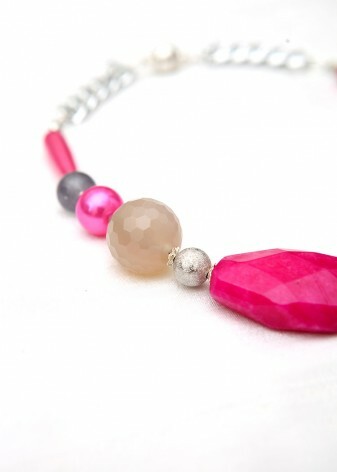 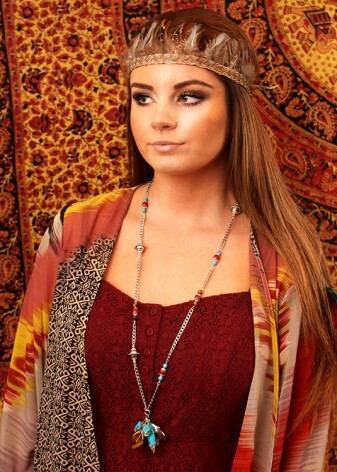 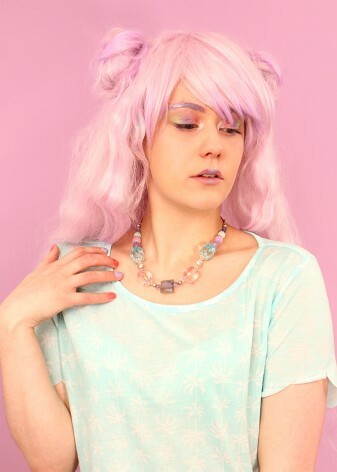 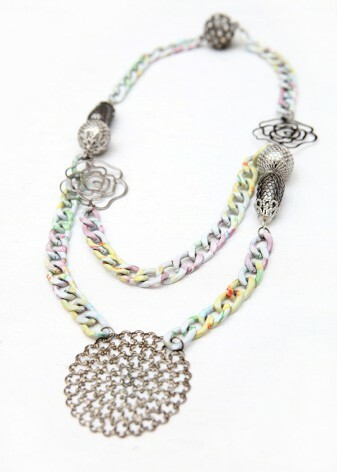 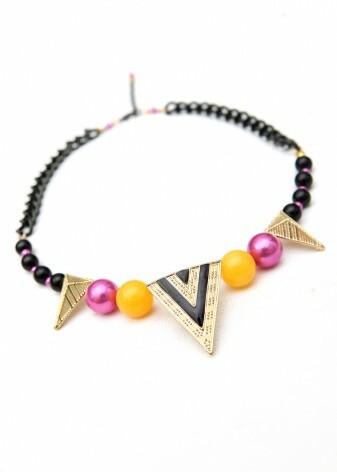 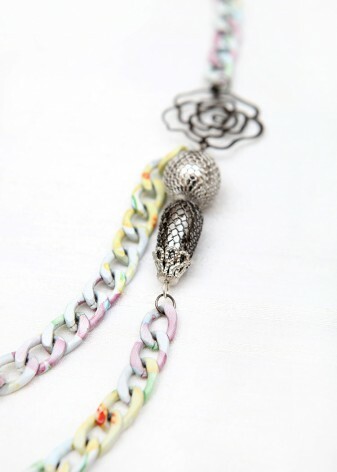 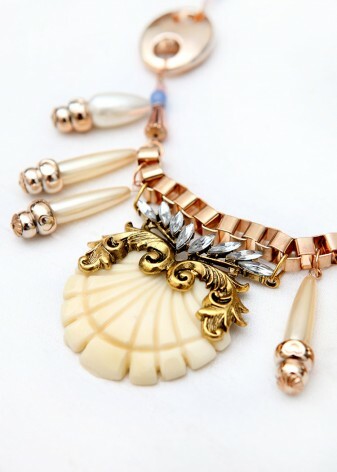 Each of our necklaces has been lovingly handmade in the UK, to create your fashion favourites. 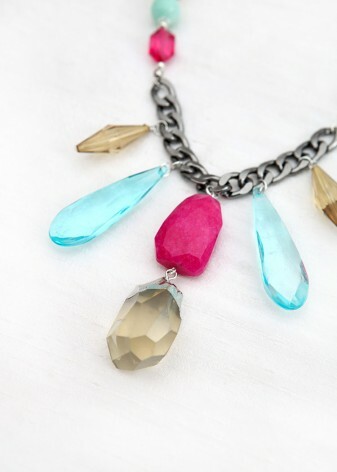 DIWAH has a treasure trove of different necklaces to suit all styles and match every outfit in your wardrobe, whatever the look you’re going for. 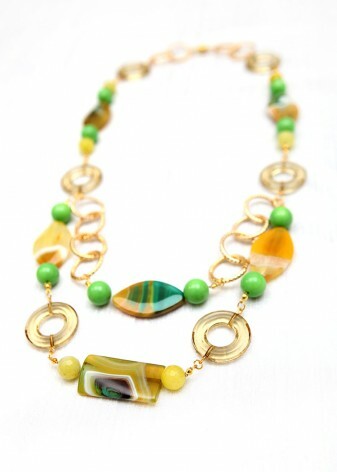 Wear a different piece each day and change your look to get the best of our selection, as it’s far too difficult to choose just one. 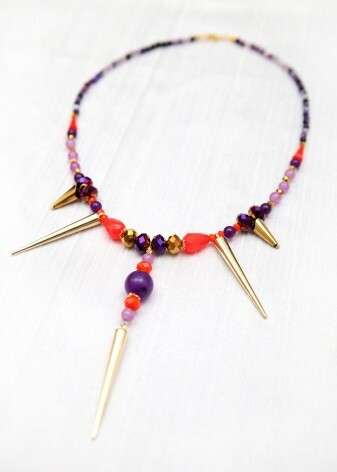 Be bold and opt for a contemporary look with a handmade statement necklace; made from a variety of different materials, including semi-precious stones, tassels, feathers, leather, pearls and chain, there’s no limit to the outfits and designs you can create. 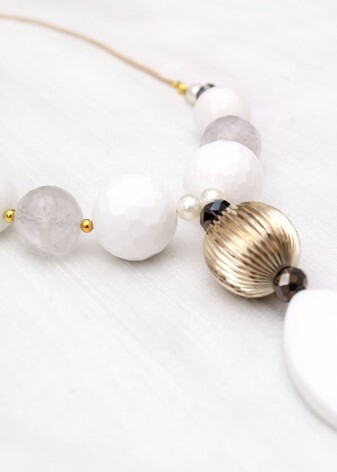 The majority of our pieces are beaded necklaces, which are delicately adorned with individual beads by our team of skilled artisan craftspeople. 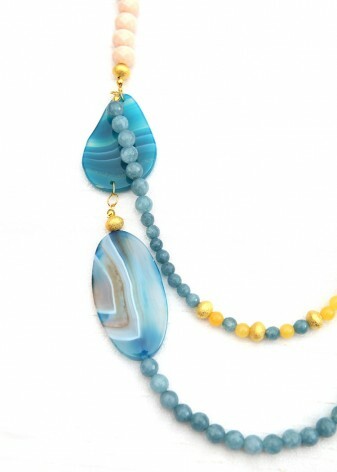 Make a splash with a turquoise and pearl piece, or add a feminine touch by choosing an understated pastel hued agate collar necklace, which can be worn from the office to cocktails with the girls and keep you looking fabulous.